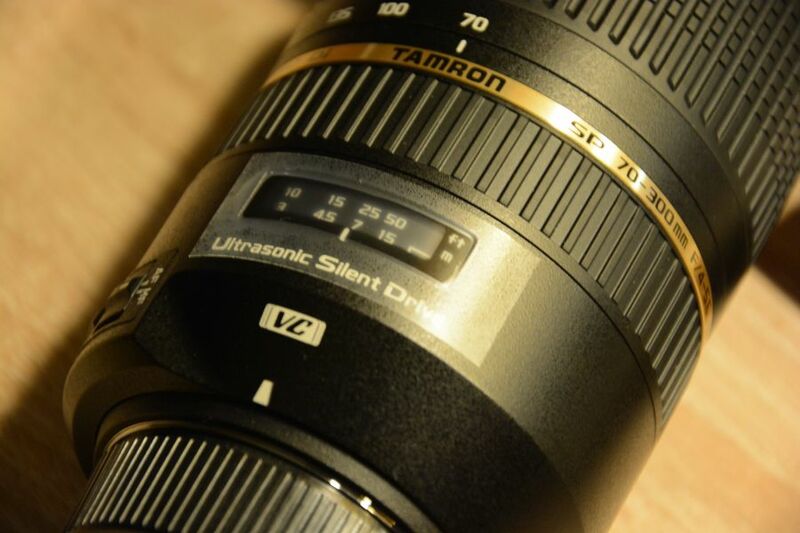 As I mentioned in my previous post, the Tamron 70-300mm VC USD lens was on my radar. I went to one of the local tech stores in Lübeck and was happy that they allowed me to test the lens on my own D7100. To say it right away, I purchased the lens after using it for a while in the store. I researched about the pros and cons of this lens, and gathered many important information’s, but sometimes reviews are very different and that can confuse you a lot. So, I had questions that I could only get answered by testing the lens on my own, and I am glad I did that today. I was pretty concerned about the auto-focus, because I saw several comments and reviews where they said the lens would focus pretty slowly. To be honest, I can not confirm this, however, I am used to the Nikon 18-105mm lens, maybe I just don’t know yet how fast other lenses can focus. I shot tons of photos in the store with all kind of different manual settings, I was quite pleased at some point. The auto-focus works fast enough for what I am used to, the image stabilization or vibration compensation (VC) as Tamron calls it, does really freeze moments, it’s really incredible. I don’t want to talk too much about picture quality yet, because I want to use the lens more before I make any statements about it. I am now in Reinfeld again since today, and I tested the lens outside in the nature, but it was very cloudy, afternoon and too dark to really have fun. I checked the forecasts and it seems we will get some rainy days, if that’s true, I will not be able to play with the lens. Anyway, I shot some test photos under bad conditions today and noticed the lens is usable when it’s cloudy, but I hope we will get some good days with perfect daylight, so that I can make tests under better conditions. I am already happy about the new gadget, I like to test things, it’s my second lens and I am curious what kind of results I can produce with the new lens. Good! You can zoom very well with it. My lens doesn’t zoom the much. You can enjoy more photos. I look forward to seeing pictures from your new lens. I have a camera, a Canon EOS-M that I really like and it takes great pictures but the focus is slow. 90% of the time that is okay but sometimes I miss a good shot because it did not focus fast enough. What I do like is that I can focus and take the picture simply by touching the screen where I want to focus. Thank you, I am already curious too, it’s sad that the weather is not with me imo. My previous camera had the same problem, I was pleased with the still images, but it was hard to get good action shots with it due to the super slow focus. You are right, you can produce nice photos with many cameras, but if the focus is not working well, you might miss some shots. However, I can tell you, that does still happen to me with my D7100, not because the focus is slow, rather because it’s also about us photographers who takes the shot… I sometimes use wrong focus settings and I am still not good in focus-tracking (for example birds in flight), and I mess up other things. I love choosing the focus area by screen, that’s something I miss from my old digital camera. The D7100 works differently, it works well, but I see a lot of situations where focussing by screen would be very useful. Focusing by touching the screen is helpful on the eos-m because it is not as clear as looking through the viewfinder of an slr so it is difficult to see what is in focus. Birds are very difficult. I seem to do better when I use manual focus. That’s true, sometimes you think you had it in focus through the viewfinder, and at home you notice that the subject is still too blurry, or you focussed on something else in the image. With a DSLR this only happens in my case when I try difficult things like birds, but even then it works most of the time as the camera is focussing so fast and well, for example in “continues focussing mode”. In the case of the D7100, you basically just press the shutter button half way down, and depending on the focus points and mode, it tracks everything very well, like magic. If something goes wrong, it’s often my fault, not the cameras fault. 😀 Manual focus works well for me too if I can predict direction and distance of the subject. There are many cases where I prefer manual over auto, or the other way around. You grow into your gear over time, and you start to learn when to use what, I do agree. You just have to practice a lot for those fast moving shots.